Lydia Dane of Gloucester was born perhaps about 1760. Lucius Robinson Paige, History of Cambridge, Massachusetts. 1630-1877: With a genealogical register, , at https://books.google.com/books?id=Yc00AQAAMAAJ . New York, Cambridge: H. O. Houghton and Company, (1877) , p. 607. "Vermont, Vital Records, 1760-1954," index and images, FamilySearch (https://familysearch.org/pal:/MM9.1.1/XF77-WJB : accessed 25 Nov 2012), Charles Gustave Darling, 1873. Harrison Colby, A genealogy of the descendants of Abraham Colby and Elizabeth Blaisdell, his wife, who settled in Bow in 1768, , at https://archive.org/details/genealogyofdesce00colb . Concord, N.H.: Printed by the Republican Press Association, (1895) Microfilm #896944 of the Family History Library, Salt Lake City, Utah, p. 119. "New Hampshire, Death Records, 1654-1947," index and images, FamilySearch (https://familysearch.org/pal:/MM9.1.1/FSKT-SQ6 : accessed 25 Nov 2012), Darling, 16 Feb 1849. "Vermont, Vital Records, 1760-1954," index and images, FamilySearch (https://familysearch.org/pal:/MM9.1.1/XFJ4-NBD : accessed 25 Nov 2012), Hetta Darling, 1857. Ancestry.com. Nevada Marriage Index, 1956-2005 [database on-line], Provo, UT, USA: The Generations Network, Inc., (2007) , Book: 212, Page: C033020, Instrument number: 91865. "United States Census, 1920," database with images, FamilySearch (https://familysearch.org/pal:/MM9.3.1/TH-1951-23020-23793-16?cc=1488411 : 14 December 2015), New Hampshire > Grafton > Canaan > ED 35 > image 19 of 26; citing NARA microfilm publication T625 (Washington, D.C.: National Archives and Records Administration, n.d.). "Massachusetts Births, 1841-1915", database with images, FamilySearch (https://familysearch.org/ark:/61903/1:1:FXFJ-6Q7 : 1 March 2016), Addison Davis Winch, 1903. "Massachusetts Births, 1841-1915", database with images, FamilySearch (https://familysearch.org/ark:/61903/1:1:FXJ6-4PV : 1 March 2016), Winch, 1908. "Massachusetts Births, 1841-1915", database with images, FamilySearch (https://familysearch.org/ark:/61903/1:1:FXKF-FTD : 1 March 2016), Winch, 1911. "Massachusetts Births, 1841-1915", database with images, FamilySearch (https://familysearch.org/ark:/61903/1:1:FXK3-4JF : 1 March 2016), Richard Bardwell Winch, 1914. Harrison Colby, A genealogy of the descendants of Abraham Colby and Elizabeth Blaisdell, his wife, who settled in Bow in 1768, , at https://archive.org/details/genealogyofdesce00colb . Concord, N.H.: Printed by the Republican Press Association, (1895) Microfilm #896944 of the Family History Library, Salt Lake City, Utah, p. 112. Church of Jesus Christ of Latter-day Saints. Manti Temple, IGI reference to Endowments for the dead, 1888-1970; name indexes, 1888-1906; heir indexes, 1906-1959, 1970-1972; baptisms for the dead, 1943-1970, Salt Lake City: Filmed by the Genealogical Society of Utah, (1957-1971) , Film Number: 170478, Page Number: 14. Harrison Colby, A genealogy of the descendants of Abraham Colby and Elizabeth Blaisdell, his wife, who settled in Bow in 1768, , at https://archive.org/details/genealogyofdesce00colb . Concord, N.H.: Printed by the Republican Press Association, (1895) Microfilm #896944 of the Family History Library, Salt Lake City, Utah, p. 113. 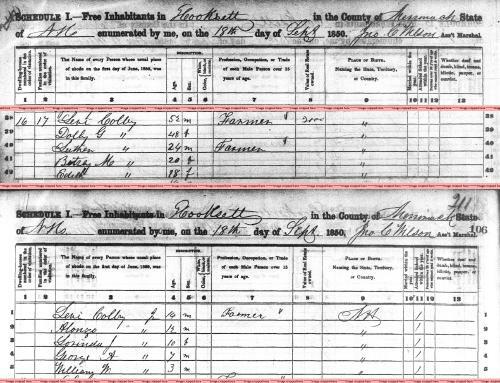 "Massachusetts, Marriages, 1841-1915," index and images, FamilySearch (https://familysearch.org/pal:/MM9.1.1/N4WC-42Z : accessed 30 Nov 2012), Charles A. Davis and Nellie A. Colby, 1886. "New Hampshire Marriage Records, 1637-1947," database with images, FamilySearch (https://familysearch.org/ark:/61903/1:1:FLF9-9PX : 12 December 2014), Charles A. Davis and Anna L. Neal, 20 May 1879; citing Pelham, , New Hampshire, Bureau of Vital Records and Health Statistics, Concord; FHL microfilm 1,000,985. "Massachusetts Marriages, 1841-1915," database with images, FamilySearch (https://familysearch.org/ark:/61903/1:1:N4WC-424 : 17 February 2016), Charles A. Davis and Nellie A. Colby, 06 Sep 1886; citing , Saugus, Massachusetts, United States, State Archives, Boston; FHL microfilm 1,415,222. "Massachusetts Deaths, 1841-1915," database with images, FamilySearch (https://familysearch.org/ark:/61903/1:1:N7B6-94X : 10 December 2014), Charles A. Davis, 23 Mar 1892; citing Revere, Massachusetts, v 429 p 509, State Archives, Boston; FHL microfilm 961,508. Harrison Colby, A genealogy of the descendants of Abraham Colby and Elizabeth Blaisdell, his wife, who settled in Bow in 1768, , at https://archive.org/details/genealogyofdesce00colb . Concord, N.H.: Printed by the Republican Press Association, (1895) Microfilm #896944 of the Family History Library, Salt Lake City, Utah, pp. 113-4. 1880 United States. Census Office. 10th census, 1880 federal population census, Washington, District of Columbia: National Archives and Records Service, ([19--]) , Source: FHL Film 1254765; National Archives Film T9-0765; Page 50A. 1880 United States. Census Office. 10th census, 1880 federal population census, Washington, District of Columbia: National Archives and Records Service, ([19--]) , Census Place: Bow, Merrimack, New Hampshire; Roll T9_765; Family History Film: 1254765; Page: 50.1000; Enumeration District: 162; Image: 0705. Church of Jesus Christ of Latter-day Saints. Manti Temple, IGI reference to Endowments for the dead, 1888-1970; name indexes, 1888-1906; heir indexes, 1906-1959, 1970-1972; baptisms for the dead, 1943-1970, Salt Lake City: Filmed by the Genealogical Society of Utah, (1957-1971) , Film Number: 170480, Page Number: 676. Church of Jesus Christ of Latter-day Saints. Manti Temple, Sealings for the dead, couples and children (includes some living spouses and children), 1944-1970; heir index, 1944-1972, Salt Lake City: Filmed by the Genealogical Society of Utah, (1957-1971) , Film Number: 458569. Harrison Colby, A genealogy of the descendants of Abraham Colby and Elizabeth Blaisdell, his wife, who settled in Bow in 1768, , at https://archive.org/details/genealogyofdesce00colb . Concord, N.H.: Printed by the Republican Press Association, (1895) Microfilm #896944 of the Family History Library, Salt Lake City, Utah, p. 115. "New Hampshire Marriage Records, 1637-1947," database with images, FamilySearch (https://familysearch.org/ark:/61903/1:1:FLXF-YZ9 : 12 December 2014), Levi Colby and Dolly Davis, 09 Nov 1820; citing Dunbarton, Merrimack County, New Hampshire, Bureau of Vital Records and Health Statistics, Concord; FHL microfilm 1,000,976. "United States Census, 1850," database with images, FamilySearch (https://familysearch.org/ark:/61903/1:1:MWZJ-X7F : 9 November 2014), Levi Colby, Hooksett, Merrimack, New Hampshire, United States; citing family 17, NARA microfilm publication M432 (Washington, D.C.: National Archives and Records Administration, n.d.). "Massachusetts Marriages, 1841-1915," database with images, FamilySearch (https://familysearch.org/ark:/61903/1:1:N4QK-1ML : 17 February 2016), Zopher Taylor and Eunice D. Davis, 28 Apr 1846; citing , Harvard, Massachusetts, United States, State Archives, Boston; FHL microfilm 1,428,256. "Massachusetts, Town Clerk, Vital and Town Records, 1626-2001," database with images, FamilySearch (https://familysearch.org/ark:/61903/1:1:F4K4-FMR : 13 July 2016), Ellen Elisabeth Taylor, 06 Apr 1847; citing Birth, Harvard, Worcester, Massachusetts, United States, , town clerk offices, Massachusetts; FHL microfilm 2,260,947. "United States Census, 1850," database with images, FamilySearch (https://familysearch.org/ark:/61903/1:1:MD9H-M1H : 9 November 2014), Zopher Taylor, Harvard, Worcester, Massachusetts, United States; citing family 74, NARA microfilm publication M432 (Washington, D.C.: National Archives and Records Administration, n.d.). 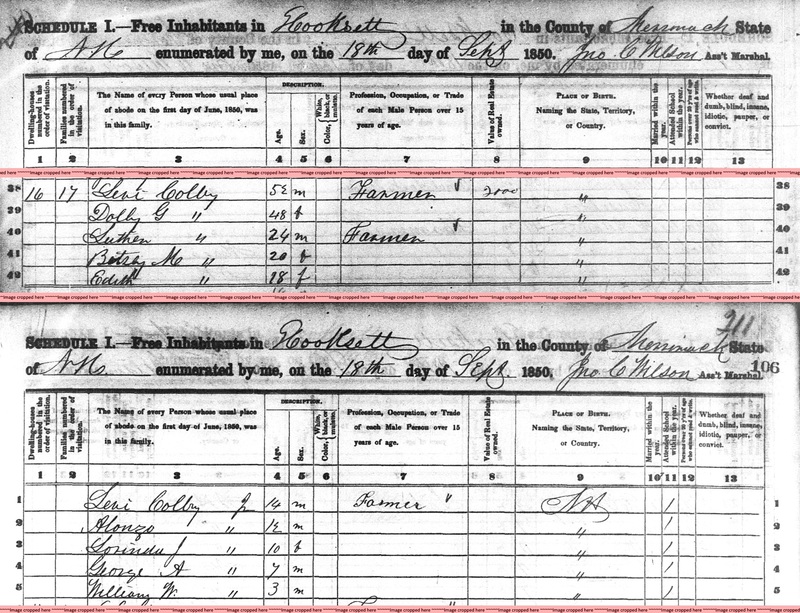 "United States Census, 1860", database with images, FamilySearch (https://familysearch.org/ark:/61903/1:1:MZCS-YT7 : 30 December 2015), Zaphar Taylor, 1860. "Massachusetts, Town Clerk, Vital and Town Records, 1626-2001," database with images, FamilySearch (https://familysearch.org/ark:/61903/1:1:F4K4-J51 : 13 July 2016), Charleemory Taylor, 16 Aug 1857; citing Birth, Harvard, Worcester, Massachusetts, United States, , town clerk offices, Massachusetts; FHL microfilm 2,260,947. "United States Census, 1870," database with images, FamilySearch (https://familysearch.org/pal:/MM9.3.1/TH-267-11852-12527-19?cc=1438024 : 22 May 2014), Massachusetts > Worcester > Harvard > image 35 of 36; citing NARA microfilm publication M593 (Washington, D.C.: National Archives and Records Administration, n.d.).